The more you buy, the more you save during Mio's Cheque this Out Sale. When you purchase $500 or more of new Furniture, Mattresses, Accessories, Area Rugs, Window Coverings, or Lighting - we're going to issue you a cheque just for shopping at Mio's Furniture Fashions in the Sault. When you buy more - you save more. For those doing larger projects, we're cutting cheques of $1,000 or more so that you get instant return on your beautiful new investment in home furnishings. Why 12-Hours? Great question! And we can give you 3-Simple Answers. First and foremost, we know you work hard and so do we - so a 12-Hour Sale is actually an 18 or 20 hour day for our team at Mio's Furniture Fashions including prep work and event closing. We know that our clients work hard and so do we, although it doesn't sound like much, we really do compress a whole lot into a one-day event. Secondly, we recognize that our clients want value. Value is the beautiful fork in the road where price and quality meet - and we work 365 days each year to bring you this value. That said, surprises are also in order. Surprises for our clients and surprises for ourselves. Third - we've been doing this a long time and we want to have some fun! We don't know who will save 50% off during our 12-Hour Sale. Maybe that lucky person will pick their savings on an already marked down item! Who knows? That's the fun. At Mio's Furniture Fashions we have the design resources, color swatches, samples, and expertise that 27 years of experience bring to help you create the atmosphere in each room with our product selection & expert advisers. 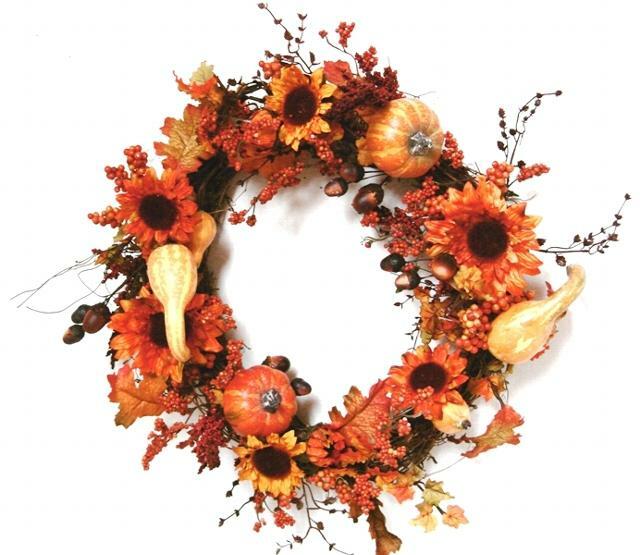 Use a wreath for great Fall decor. With the passing of Labor Day and the imminent Autumn weather we know two things. First, no more white clothing! Second, people are preparing for warmer clothes and ambiance with the cooling temperatures. We've prepared a short-list of design tips for you to take any room and prepare it for the crisp and colorful Canadian fall. Please take a minute to consider the following to add some warmth to your home decor this fall. It doesn't have to break the bank: Adding a little fall color to your home can be done inexpensively with red, brown, and yellows with a center piece of potpourri or candles. Your area rug is important: The most walked-over piece of home decor is too overlooked when it comes to great room design. Finding a patterned and colored fall rug is possible at Mio's Furniture Fashions with our wide selection of area rugs. Use an Autumn Wreath: Great design happens when you use familiar elements in new and unfamiliar ways. The wreath is usually reserved for December, but finding (or even making) a cornucopia inspired wreath for the fall will surely have an impact on your guests walking through your front door. If you enjoy our blog be sure to regularly visit our website, join our email club, follow us on Facebook for the latest updates from Mio's Furniture Fashions in Sault Ste Marie, Ontario. 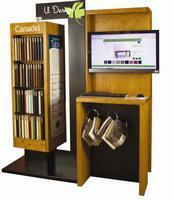 Canadel Furniture offers discriminating shoppers a product that is beautifully crafted without compromise. If you want to furnish your kitchen or dining area with unique style Canadel Furniture should be your sought after brand. At Canadel, all tables and chairs are made of 100% solid birch. This is a product that is built to last and becomes an heirloom item, often passed from one generation to the next. They offer industry leading design tools for online shoppers with their U Design software. All you have to do is go to www.canadel.udesign.ws and design every aspect of your dining room: color, shape, size and finish. Canadel has developed a unique protection with a catalyzed lacquer base that is extremely resistant to marks, scratches and stains. The company has a simple rule of thumb: If the customer can eat, drink or digest a food product, it may be safely left on a Canadel product for up to 24 Hours. All of this at Mio's Furniture Fashions in Sault Ste Marie, serving Northern Ontario and Michigan. Mio's is proud to carry the Custom Dining Collection, the High Style Collection, the Champlain Collection, and the Loft Collection from Canadel Furniure. Welcome to the new Blog for Mio's Furniture Fashions! Visit regularly for updates on our product selection, expert advice, and new design ideas. We're not your average furniture store. Our focus is to provide an experience in the showroom and online to inspire your home decorating project; whether it is a single La-Z-Boy recliner for the man-cave or a complete overhaul of your great room Mio's Furniture Fashions has it all. We're proud of our resource center for Hunter Douglas window fashions. We have experts on site to assist in your planning process for sizes, colours, and working within your budget. We also have a great selection of lighting fixtures for your home so that no design detail is overlooked. We will be enhancing our web catalog to show some of our options for you, but there are literally thousands of items available from our lighting partners. Serving the Soo & Northern Ontario since 1986 with famous quality brands and value prices.